As a documentary wedding photographer specialized in making candid, in-the-moment pictures, I used to struggled with engagement sessions. Like many of my marrying couples, posing is not my favourite thing. As time goes by, I do have a different perspective and appreciate an engagement session before the wedding day. So are most of my clients. My brides and grooms are happy with a casual portrait session that gets them used to the camera and they always find the engagement pictures come out more natural than they've expected. I also learn to have a lot of fun with alternative and creative approach to posing. 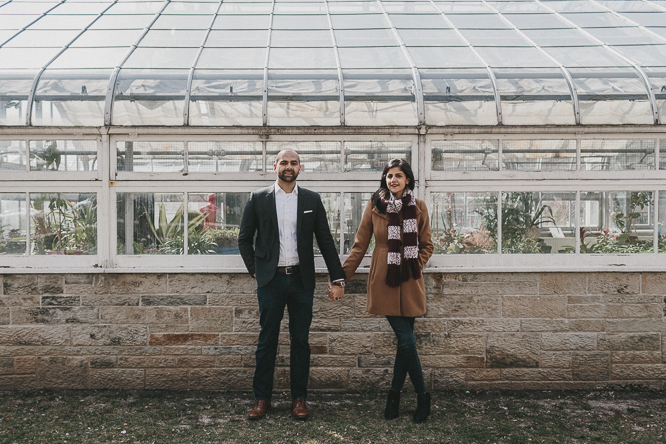 This engagement session with Annum and Abdullah in Allan Gardens in downtown Toronto is no exception. 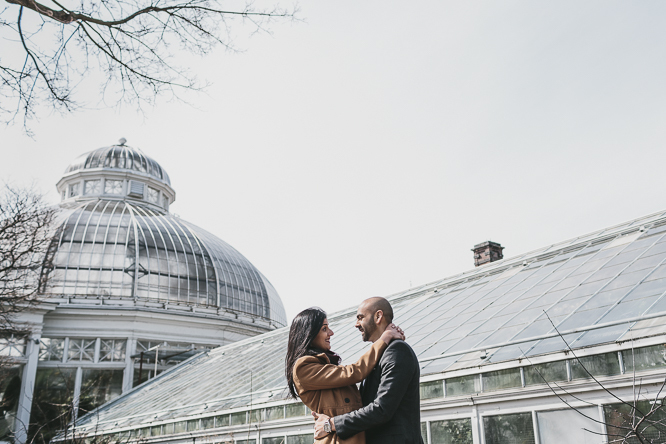 We are originally planning for a Spring engagement but as unpredictable as Toronto's weather can get, there's no surprise that we have to make last minute changes to the previous engagement idea. Allan Gardens is a perfect, alternative indoor space for good quality lighting and some green which most of the other indoor locations lack. I'm certainly adding Allan Gardens, this amazingly decent greenhouse to my list of favourite unique engagement locations in Toronto. Especially in the Toronto winter or a belayed Spring, what's better than staying in the warm but still creatively getting images like those taken out in the nature. These images, some natural candids and some artistically posed portraits, truly reflect these two's fun personalities and strong connection to each other. I can't wait to photograph Annum and Abdullah's Milton wedding in May!